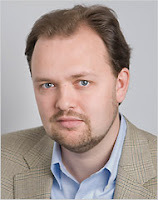 the nytpicker: Did Ross Douthat Already Get The Boot? His Second Op-Ed Column Is Online Only! Did Ross Douthat Already Get The Boot? His Second Op-Ed Column Is Online Only! Last week, weird-bearded conservative columnist Ross Douthat made his debut on the NYT op-ed page with the no-hedges promise that "Ross Douthat's column appears on Tuesdays." But here it is Tuesday, and where's Douthat? We'll tell you where. His broadside against Republican party-pooper Sen Arlen Specter appears online only! But wasn't Douthat hired to be an op-ed page columnist just like Krugman and Kristof? And wasn't last week's column supposed to signal his permanent arrival on the page? We're going to email NYT op-ed editor David Shipley and ask him what's up. NYTPICKER'S NOTE: Whoops. The NYTPicker got this one completely wrong. David Shipley has gently reminded us, in response to our email, that last week's Ross Douthat column also appeared online only, not in the print edition. "For now, his column will appear online on Tuesdays," Shipley says. internet only? even in this fading era of dead trees, that kind of marginalizes the poor kid. when are we going to get our generation's william safire or peggy noonan to tell us what the right is thinking? kristol should have - and could have - done that if only he'd bothered to take the time.